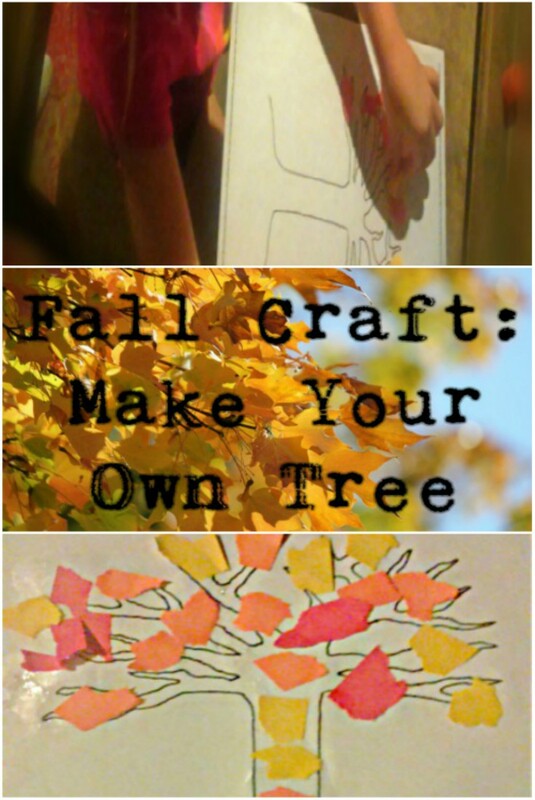 Do you need a quick, easy and cheap Fall/Autumn craft to do with your toddler or preschool aged child? 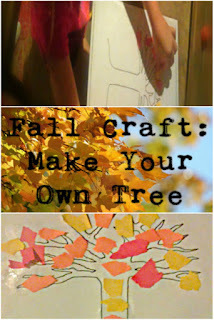 This craft can be done with minimal supervision and not a huge mess. A printable tree trunk(Printable Tree Trunk)Free! How easy is this?? Right? By the way, I printed off like 4 of the trunk sheets and my little has been making these for days! Each one turns out different...She made one with all red leaves. At first, being the OCD that I am, I tried to arrange and show her how to place them at the tips of the branches and then work her way around or in toward the trunk. Well, Yea, she wasn't having that! She just wanted to haphazardly glue them anywhere! It turned out GREAT! I loved it! She loved it, and was so proud of her little Fall Tree! 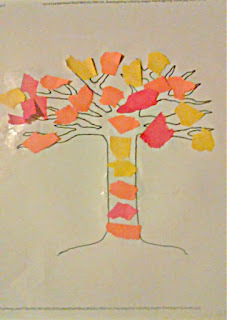 We went over each color and why they fall off the trees. She really was fascinated with learning about why they go from green(and stay on) to changing colors and fall off. I've honestly been sort of slacking this week with the homeschooling. I've been out of sorts and she has been restless and fussy. 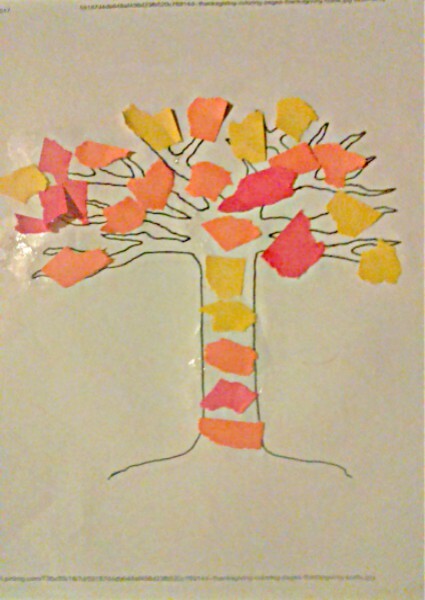 We've read a ton of books about school and whatever else she finds, we've tried to work on the letter A. I found some cute Autumn themed worksheets about Apples, Acorns, etc. She wasn't really into those too much. But I have discovered she loves the "Letter finds". Basically, it is a word find sheet, only with letters mixed up and each sheet wants you to find a particular letter. Those are great and they have capital and lowercase. I'm sure I will have a ton more things about Fall/Autumn and the crisp season coming. I've got a ton of material yet to do on this. I hope you enjoy this fun littel craft as much as we have.